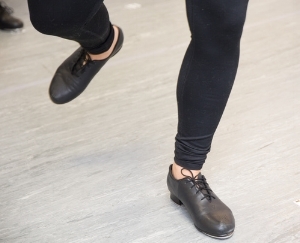 We are proud to offer one of the largest variety Adult Dance Classes in the area! Adult registration is open and ongoing! Tuesdays 7:45pm *All levels welcome! Wednesdays 7 :30-8:30 *All levels welcome! Fall programs are on an 8-week session schedule. Cost is $105 for the 8-week session plus a one time $20 registration fee. Or pay per class: Drop-ins are $15 per class. Adult fall classes start Tuesday, September 12th. Classes are either drop-in for $15 per class, or purchase an 8-class punch card for $105 (good for fall classes as well). On the Barre is proud to be offering Yoga and Barre! Yoga: Join instructor Gail O'Leary as she guides you through primarily Vinyasa Flow yoga which helps decrease anxiety, stress, and fatigue through its mindful fluid motions and yoga breathing focus. Come join in to help connect to your inner self, relax, reach deep into your roots, and even lose weight and tone your body. Barre: Barre is Gail's newest class! She is a certified Barre instructor. Enjoy the best workout of your week with the hottest new fitness craze. Combining ballet, muscle lengthening, and defined muscle movements, barre works every part of your body. Check out her website at www.yogawithgail.com! Gail has been a part of the fitness industry for 20 years. She started practicing yoga 8 years ago and became a certified instructor through the YogaFit teacher training. Gail has completed levels 1-4 of the YogaFit training and has taken courses specifically designed for seniors, children, yoga strength and pilates. Gail's style of teaching is part Hatha yoga with the holding of the postures...but is primarily a Vinyasa Flow which links breath with movements; naturally creating heat in the body. It helps lessen anxiety, stress and fatigue through its mindful, fluid motion and yoga breathing focus.